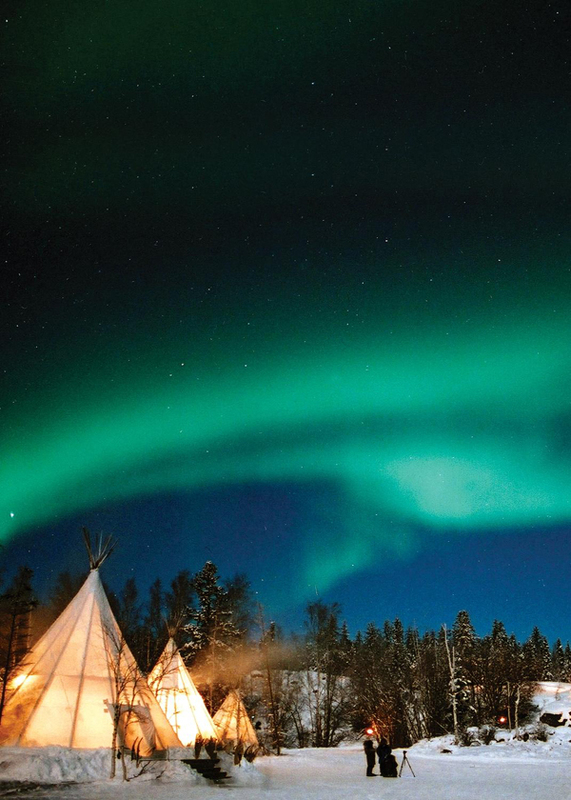 Yellowknife, the capital of the Northwest Territories, is on the north shore of Great Slave Lake, approximately 400 km south of the Arctic Circle. Auroras, sometimes called the northern and southern (polar) lights, are natural light displays in the sky, usually observed at night, particularly in the polar regions. The aurora borealis is also called the northern polar lights, as it is only visible in the sky from the Northern Hemisphere, the chance of visibility increasing with proximity to the North Magnetic Pole, currently in the arctic islands of northern Canada.